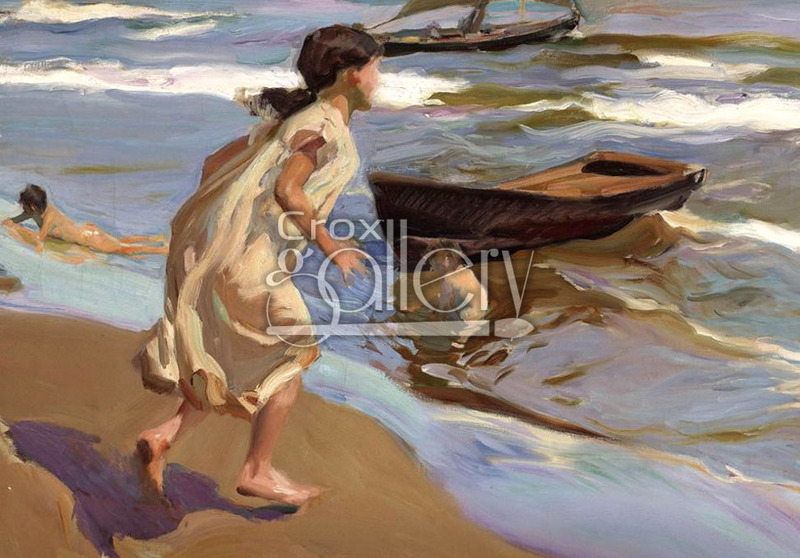 "Girl Going to Bathe" by Sorolla, Oil Painting Reproduction. Girl Going to Bathe shows a little girl running towards the sea in Valencia (Spain). 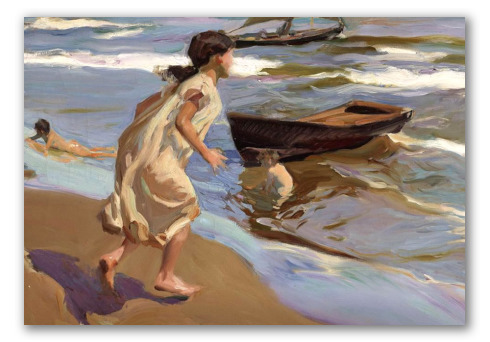 This was painted by Joaquin Sorolla y Bastida.